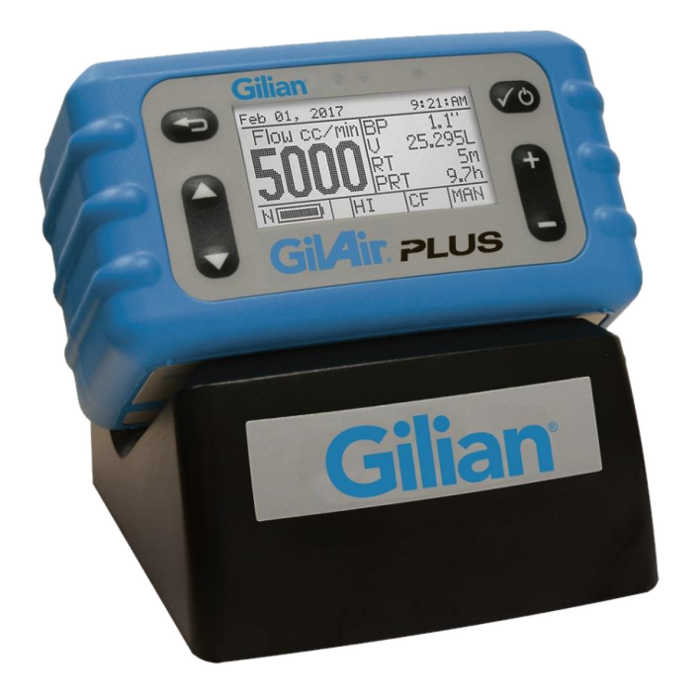 GilAir Plus Personal Air Sampling Pump Rental | Enviro-Equipment, Inc. If flow changes exceed ± 5% within back pressure specifications, fault notification appears. If fault exceeds 30 seconds, pump shuts down. Selectable automatic fault recovery allows the pump to attempt restart every 3 minutes for up to 10 attempts or to hold until manual intervention.